While spring officially begins March 20, get an early start by preparing your garden and yard now for the upcoming growing season. 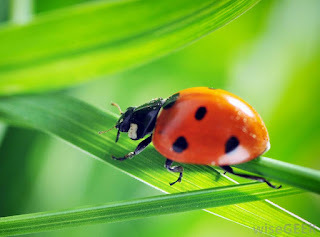 Add Plants That Attract Good Bugs: Attract good bugs (ladybugs, lacewings, hoverflies) to your yard by adding plants they love. Plants that appeal to good bugs are yarrow, dill, fennel, marigolds, coriander and buckwheat. The good bugs will eat the bad bugs (such as aphids, ants and whiteflies) that can cause havoc in your garden. Give Plants And Trees A Nitrogen Boost: Now is the time to give your garden a shot in the arm with nitrogen fertilizer. Plants usually need to be fertilized only once in March at the beginning of the spring growing period and again in September. Don’t Give Weeds A Fighting Chance: Because February was unusually warm, the minimal rain that fell prompted weeds to sprout in southern California. Weeds can easily become out of control and much harder to remove as they take root. A natural way to protect gardens from weeds is by using mulch. This top dressing will crowd out weeds before they gain a foothold. Weed first before applying. Mulch at least two to three inches deep around trees, shrubs, flowers and plants. Make sure the mulch does not touch the tree trunks. Plant Vegetables and Herbs from Seed: After the last chance for frost (around mid-month) and the soil warms, cultivate your vegetable garden soil down about one foot. Mix in organic soil planting amendments. Plant warm-season vegetable seeds including tomatoes, peppers, green beans, cucumbers, squash, eggplant, onion, potatoes, spinach, turnips and corn. It's also the time to plant herbs from seed such as basil, mint, oregano, parsley and rosemary. You can even still plant cool-season vegetables including broccoli, lettuce, cabbage and kale. Vegetables that can be planted year round are carrots, beets and radishes. Keep Plants Looking Full By Dividing Perennials: After a few years, perennials tend to form in clumps. These clumps become scraggly and big bare spots form within the plants. To avoid this, divide perennials and place the new plantings in other areas of the yard. When dividing a perennial, make sure you dig deep under a clump so you lift the root system out intact. Remove any portion of the clump that looks dead or diseased. Large clumps can be divided further. Place the divided clumps in holes that fit the root base. Mix in soil amendment and water. This is a cost-efficient way to add to your flower garden. Keep Your Garden Manageable: It may be tempting to create a sprawling garden filled with all kinds of vegetables. Because of water restrictions projected still to be in place for summer and beyond, consider downsizing your workspace so your garden requires less water. Raised beds are a good option because there is less chance of soil erosion and water runoff.